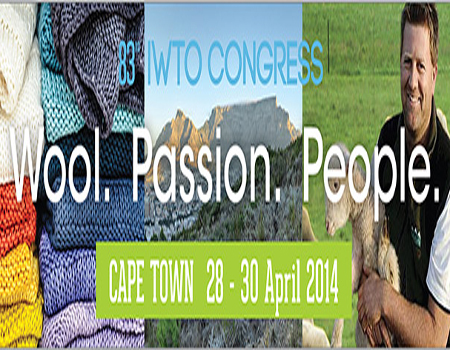 BRUSSELS - ‘Wool, passion, people’ is the theme for the 83rd IWTO Congress which takes place in Cape Town from 28-30 April. The congress will, among other things, address textile sustainability, including environmental issues in the wool processing industry, and also have a keynote speech by Allan Savory on Livestock and Climate Change. The full conference agenda can be viewed HERE.